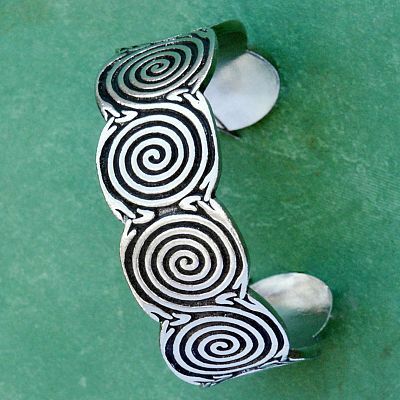 - Mmmm… those gorgeous Celtic spirals! This bold and beautiful Celtic bracelet will make a powerful statement when you wear it. There's nothing tame or timid about your style. 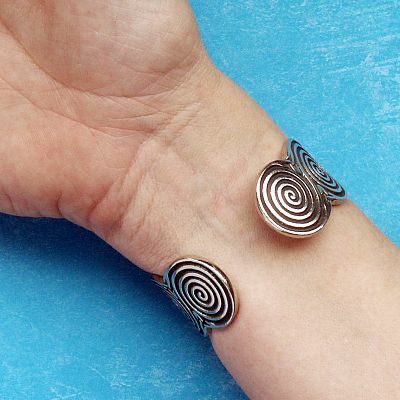 At nearly an inch wide, this bracelet is eye-catching, but never overwhelming. 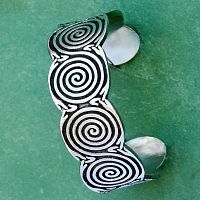 This bracelet measures 6 1/2" long overall, and the spirals are 7/8" wide. 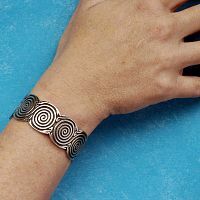 Do you have any other questions about our Celtic Spirals Pewter Bracelet?